Discover an ancient way of prayer that leads us to new union with God. 'Long ago,' Calvin Miller writes, 'when the Celts built their own rustic kingdom of God in what would later be the British Isles, their fervor in prayer washed their world in a vital revival.' In uncertain and dangerous days of high infant-mortality rates, leprosy and plagues, the Celts breathed candid prayers out of the reality of their lives: Desperate prayers for protection. Praise for the God who was king over all creation. Honest prayers of confession. 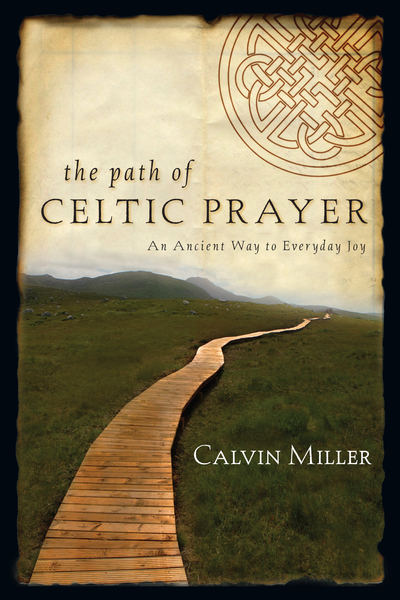 In these pages, Miller introduces us to six types of Celtic prayer that can connect us to God more deeply by helping us pray out of the circumstances and uncertainties of our own life. 'This book proposes a kind of prayer that can end our amputated feelings of separateness from God,' says Miller. What was true for the Celts is still true for us: 'Hunger for Christ keeps us talking to God till our separation is swallowed up in our unending togetherness with him.' As rich as the faith they describe, these pages lead us on an ancient path that gives guidance for present and future prayers, until the day the Celts longed for, when all separation is gone and we live forever in the presence of God.